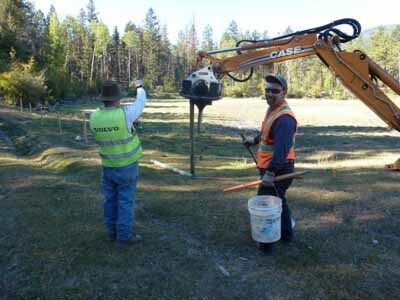 Ritchie Lake Wetland Restoration: From Bad to Rad! The following story was provided by the South Okanagan-Similkameen Conservation Program, detailing the amazing transformation of a damaged bog into a key piece of wildlife habitat. 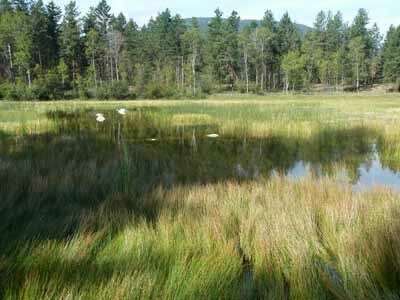 The Summerland Sportsmen’s Association received an HCTF PCAF grant to fence and restore the Ritchie Lake wetland, one of the last intact wetlands in the Garnet Valley. Through partnerships with Province, local conservation organizations and the incredible efforts of a dedicated group of volunteers, they have certainly provided a helping hand for wildlife in BC. existing crown lands and conserve some of the highest quality ungulate winter range some wildlife biologists had ever seen. The area, known as “Antler’s Saddle” is low elevation and highly suitable winter and early spring ranges for mule deer. The valley and hillside also supports sensitive grasslands, wetlands and open forest ecosystems – habitat for other wildlife species, some of which are federally listed as “at risk”. The area is managed by the Province of BC through the Ministry of Forests, Lands and Natural Resource Operations and what a challenge it is to manage. At the heart of these conservation lands there used to be a healthy, vibrant wetland – complete with bulrushes, ducks and a source of drinking water for wildlife – a rare commodity in the dry South Okanagan landscape. The Antler’s Saddle area is also important historically as it is part of the two-hundred year old Fur Brigade Trail that followed an ancient Aboriginal trail. Unfortunately, within the last ten or so years Ritchie Lake became a popular hangout for a small, but impactful group of off-road vehicle drivers who illegally drove in and out of the wet area repeatedly – grinding up the vegetation and sub-soils. 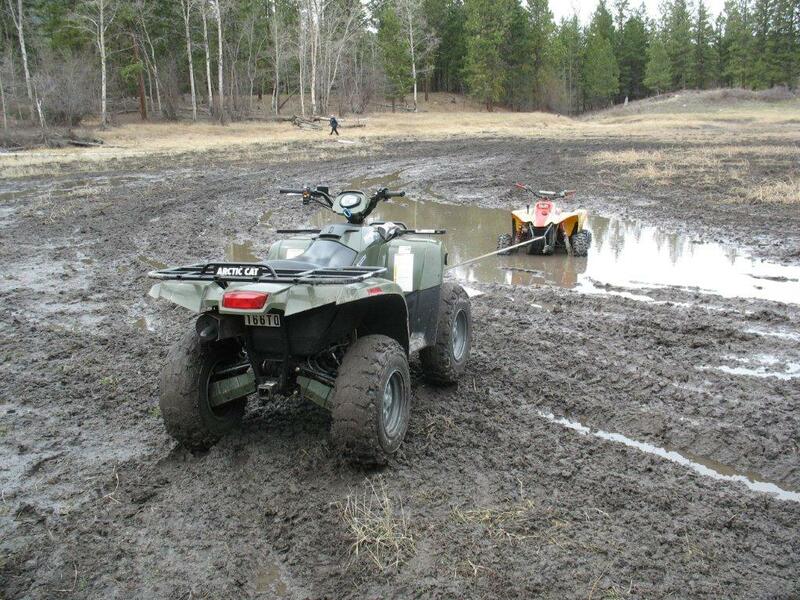 It is hard to overstate the impact that “mudbogging” can have on a sensitive spot like Ritchie Lake. 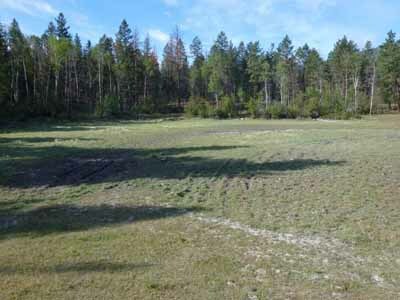 The vehicle destruction, combined with cattle accessing the wetland for water, a few dry years, and maybe even disruption to water flows from a gas pipeline and road development – Ritchie Lake was in a sad state. As one of the only potential wetlands of its kind left in Garnet Valley, and armed with a couple people who had memory of seeing it in is former glory – a group set together to “bring it back”. A partnership quickly hatched between the SOSCP Program Manager, Summerland Sportsmen’s Association, the local rancher, the BC Conservation Officer Service and the land manager – Ministry of Forest, Lands and Natural Resource Operations (MFLNRO). 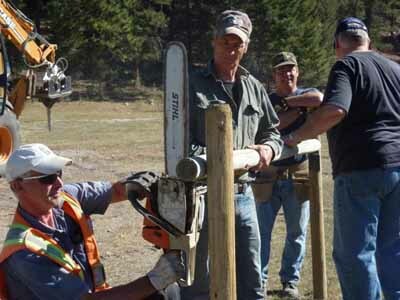 Provincial range staff provided support and in-kind contribution of materials. An application was made to the Habitat Conservation Trust Foundation (HCTF) – funded by hunter and angler licensing dollars and the original source of the purchase dollars for the properties back in the 80”s. Soon the group had cash, materials and enough volunteer elbow grease to complete the project. It took about four days to complete the project –and about 10 volunteers in total. In September of 2012, a wildlife –friendly range fence was completed around the former wetland perimeter complete with a gate to remove the odd cow or calf that may get in. A number of boulders were carefully placed in the low areas and an interpretive sign written and posted to provide background on the wildlife values, the sensitivity of the ecosystem, funders who contributed and the hard working volunteers that put their time into the project. Continued monitoring of the fence and the wetland itself is underway through a number of mechanisms. In addition, the Province is also implementing an Access Management Strategy for Garnet Valley to protect wildlife habitat through identifying approved routes and closing illegal and secondary trails to motor vehicle traffic at critical times of the year. One year after the project the results are no less than stunning. Granted, it was a wet year, but the pictures speak for themselves. Yes, those are sedges….and ducks. Congratulations to everyone involved!